This distinctiveTee-off Golf Plaque features a colored image of a driver's head teed up to hit a golf ball on a tee. Underneath, a gold-bordered box frames your custom inscription. 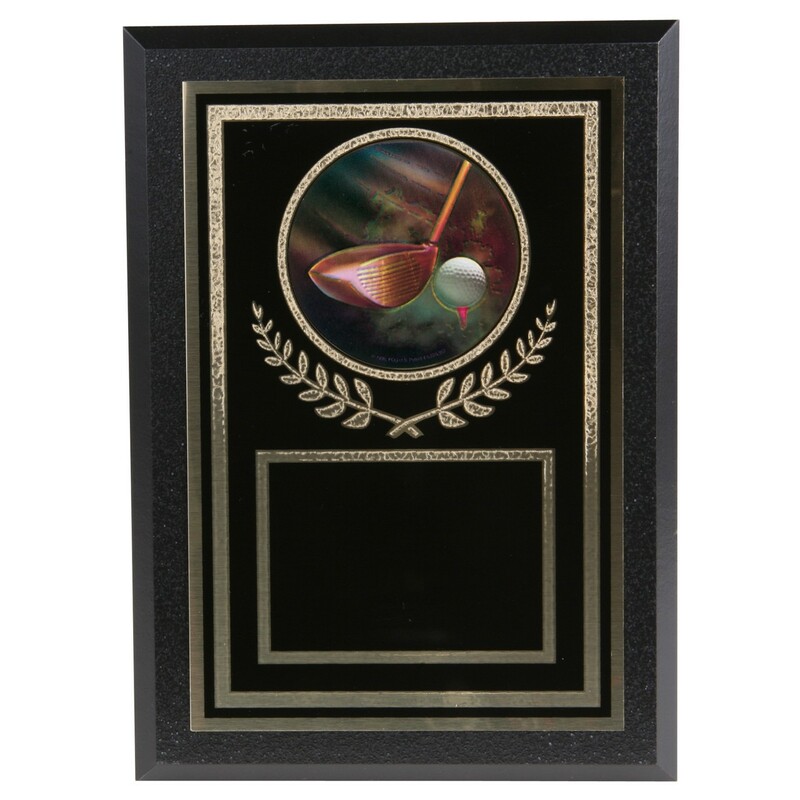 Plaque size is 5 inches by 7 inches and, by all indications, this edifying plaque hits the right note of respect when recognizing the triumph of your golf champ.